Workplace wellness is growing in popularity as a way to attract and retain staff plus it's the right thing to do. These Canadian wellness companies help employers deliver wellness programs to staff. Competition is getting fierce to hire and retain top talent. Organizations are looking for innovative ways to stand out. Some wise organizations are naturally maternal and keen to help their employees be as healthy as possible. They know healthy employees are better engaged in their jobs and generally more productive. Some organizations don't feel they have the budget to invest in fancy programs but you don't have to spend a bundle either. Snacknation lists 121 Employee Wellness Program Ideas Your Team Will Love - many of which are budget-friendly or free! If in doubt, remember to ask... when is NOT investing in the health of your staff the right thing to do? If you decide to incorporate incentives into your programs, also check out our top 15 corporate wellness incentives by budget. As CoreHealth is the wellness technology vendor for some of these providers, it's really fantastic to see the variety and quantity of health and well-being specialists in Canada. Here we consolidated of some of the larger independent workplace health and wellness service providers serving Canadian employers. Each has their own unique programs and services so please contact them directly to learn more. Continue reading to the end of this post to see additional providers including insurers, EAP providers and disability management companies - most of which provide wellness programs. Bridges Health helps connect individuals to their workplaces, whether through assisting employees with their health care needs while they remain at work, or by returning individuals to a workplace that is ready to bring them back. 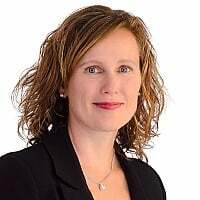 Bridges Health (formerly Innovative Rehabilitation Consultants) has worked with private, government and non-profit corporations on a holistic approach to wellness since 1997. 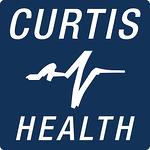 Curtis Health, a leader in individual and Corporate Health and Wellness, has built upon its foundation of creative programming, unprecedented service, effective health promotion and wellness solutions to include a full scope of individual and corporate fitness, health and wellness services, fitness facility management and operations. Their clientele encompass all types of organizations ranging from hi tech and gaming, to government, manufacturing, transportation, as well as Employee Assistance Providers and Corporate / Business park fitness facility management. Currently provide corporate health and wellness services to over 12 corporations and corporate parks onsite containing more than 27 fitness centres. They offer 12 Weeks to Wellness Health Coaching which is a behavioral change service with health and wellness coaching. Dempster Wellness is Atlantic Canada's leader in corporate health and wellness and provide both on-site, off-site and online health, safety and wellness programs and services including mental health, ergonomics, fitness programs, nutrition and healthy eating programs, massage, yoga, manual osteopathy. They also provide wellness space design services, wellness training, seminars, injury prevention, and ergonomic program development. At Employee Wellness Solutions Network, employee wellness is all that they do, all day every day. They have the expertise to service clients ranging in size from less than 10 employees to over 1000. For each client they maintain the highest quality of service and take pride in their ability to create individualized successful programming for each company. EWSNetwork clients come from a full spectrum of industries that include Financial Services, Automotive Manufacturing, Public Utility, Telecommunications, Office and Shipping, Insurance, Car Dealerships, Social Services, Warehouse, Law Firms, Banking, Education, Engineering, Construction and others. Services include: Employee Wellness Programs, Lunch n' Learns, Health Fairs, Corporate Fitness, Wellness Coaching, Customized Reporting, Engagement Specialists, and Mental Health. Consulting and Management services to corporations, community fitness & recreation centres, non-profit sport, fitness and recreation associations; community colleges and universities, municipal recreation centres, property owners and managers and commercial clubs. Manage over 55 facilities varying in size from small corporate facilities to large multiplex centres with membership ranging from 250 to 8,600 members. Deliver high quality Wellness Programming, including the development, implementation and evaluation of wellness programs (such as stress management, back care, ergonomics, weight management, etc.) for clients who do not have an on-site fitness facility. We also develop and design wellness websites for corporations. Offices located in Mississauga, Calgary, Montreal, and Halifax; and we carry out our managed project assignments across the country, including: Vancouver, Calgary, Edmonton, Winnipeg, Toronto, London, Hamilton, Kitchener-Waterloo, Ottawa, Montreal and Halifax. INLIV has over 30 years of experience providing corporate health programs that meet the needs of all tiers within Calgary’s diverse business community. Programs and Services include: executive medical assessments, personal training, total health management, health risk assessments and ongoing virtual care. Lewis-Daly & Associates specializes in providing workplace wellness solutions and programs to organizations. Our workplace wellness services offer clients practical, holistic, and customized strategies for improving the health and well being of their employees with a focus on prevention. Programs and Services include: wellness program strategy development, corporate health challenges, health screening programs, flu clinics, massage @work, meditation, mental health, onsite fitness classes, wearable fitness tracking devices, workshops, diabetes risk reduction programs and more. Established over 25 years ago, Medcan is a global leader in assessing clients’ overall well-being and inspiring them to live well. We partner with over 1,000 corporate accounts and 40,000 clients to set and achieve health and wellness goals. Services include: Live Well Assessments, Live Well Programs, Year-Round Care, Health Essentials, Individuals & Families, and Corporate Health & Wellness. Medisys provides executive health and human capital risk management to 65% of the largest companies in Canada (FP500). They deliver on-time, meticulous, convenient preventive health assessments and ongoing care tailored to meet our client’s busy schedules. Through their Horizon Occupational Health Solutions division, they deliver high-quality integrated healthcare programs and prevention solutions that ensure the health and safety of workforces. Medisys On-demand Virtual Healthcare is a comprehensive healthcare solution tailored to meet your employees’ needs – 24 hours a day, 365 days a year, from anywhere in the world. Medpoint is a preventative health care centre. Employer services include: executive medicals that include a comprehensive health assessment that screens for the early detection of diseases like diabetes, cancer and heart disease. Employee Health Solutions encompasses LivWell to educate, motivate and reward employees through wellness presentations, contests and challenges. Navigator allows employees and their families to access the best possible healthcare in the minimum amount of time and Biometrics which means they obtain biological data to address health concerns on a one-to-one basis. PEAK Centre Vancouver is able to offer a range of comprehensive executive fitness packages. Now both you and your business can benefit from our considerable expertise in the application of the latest in Exercise Science to enhance your working environment. Use our expertise to customize your corporate fitness program. Headquarters: Main centre located in Ottawa with a network of franchises and satellite centres across North America. People Corporation is an insurance broker that serves more than one million Canadian employees and their families by providing employee group benefits, group retirement, wellness, and human resource solutions. The Health Team (now Lifemark) has provided workplace health and employee wellness services to organizations across Canada. All of our programs are provided by highly skilled registered nurses and health care professionals. In addition, our focus is on developing and delivering high impact services which offer our clients superior return on investment. Services include: Workplace Wellness, Nursing, Onsite Flu Shot Clinics, Health Assessments and Screening, Workplace First Ad, CPR & AED Training, Health and Wellness Seminars, Health Coaching, Biometric Screening, and Healthcare Services. The Wellness Institute, powered by Seven Oaks General Hospital, workplace initiatives include a wide range of corporate health services designed to help improve health and wellbeing of all staff at the office. We can help workplaces reduce injury claims through workplace injury check-ups and consulting, education, ergonomic assessments, JDA/PDAs and pre-employment screening. Other services like Executive Medical Assessments can help promote healthy lifestyle and work-life changes to prevent medical, physical and mental health issues. WellStreet helps organizations foster a workplace wellness culture through measurable health solutions that ignite enduring vitality and productivity and a healthier bottom line to the organization. Wellness programs and services are delivered onsite and are tailored and customized to fit the health needs of the organization. They have customizable solutions for weight loss, stress management, mindfulness, detox, nutrition and tools to assess the health of your company. WorkingWell assists organizations in creating focus and results by using workplace and employee wellness strategies. Services include wellness fairs, lunch & learns, team health challenges and healthy habit-building programs. WorkingWell work collaboratively with mid to large sized companies. While the majority of their work is in the TORONTO-GTA region, they service clients from coast-to-coast, in Canada. Workplace Options is the world's leading employee wellbeing provider. They provide emotional, physical, and practical support services to employees and their family members across the world. Through clinical services, work-life support, and employee wellness programs, Workplace Options provides services to help employees to be happier, healthier, and more productive at work and throughout their lives. Advantage Global Wellness - Multilingual telephone, online, or on-site wellness services. Wellness coaching in local languages, based on local knowledge. Track employee population wellness by region/location. Advantage Live Well Wellness Coaching - Participating employees are paired with a professional wellness coach for telephone consultation and live web chat about health, wellness and lifestyle. Custom-tailored wellness action plan, scheduled follow-up and support. Live Well Global Wellness Questionnaire - Provides a holistic snapshot of your organisation’s health. This product offers an effective way for organisations to measure the health of a global employee population. Headquarter: Raleigh, N.C. with Canadian Operations Located in Toronto, ON. We are sorry if we missed you. Please email marketing@corehealth.global and we would be happy to add you. In addition to the abovenoted providers, many disability management companies also provide health and wellness programs. Please refer to our list of Canadian Disability Management Companies and Their Wellness Services. In addition to independent wellness providers and disability management companies, many insurers are also providing wellness services as noted in our list of Top Canadian Insurance Carriers Providing Wellness Solutions. While employers tend to associate Employee Assistance Programs (EAPs) with providing counseling and support to employees to overcome personal issues but you may not know that many EAPs also provide wellness corporate solutions too! Check out our list of EAP Providers That Offer Wellness Corporate Solutions. All of these employee wellbeing specialists are can help your organization and its employees enjoy greater health, lower absenteeism, and increase productivity. CoreHealth helps leading wellness providers and insurance carriers design, deliver and administer their wellness solutions for corporate clients using our wellness management software. We would be excited to power your programs! We make health and wellness fun! CoreHealth Technologies Inc. is a leading all-in-one corporate wellness platform trusted by wellness providers to power their health and wellbeing programs for 3+ million employees worldwide. At CoreHealth, we believe that developing the best employee wellness programs is all about giving providers the right code, design and access to best-in-class innovations. With the most customization, integrations and reliability of any software in its class, CoreHealth’s powerful platform lets users focus on growing great wellness companies. For more information, visit the CoreHealth website.